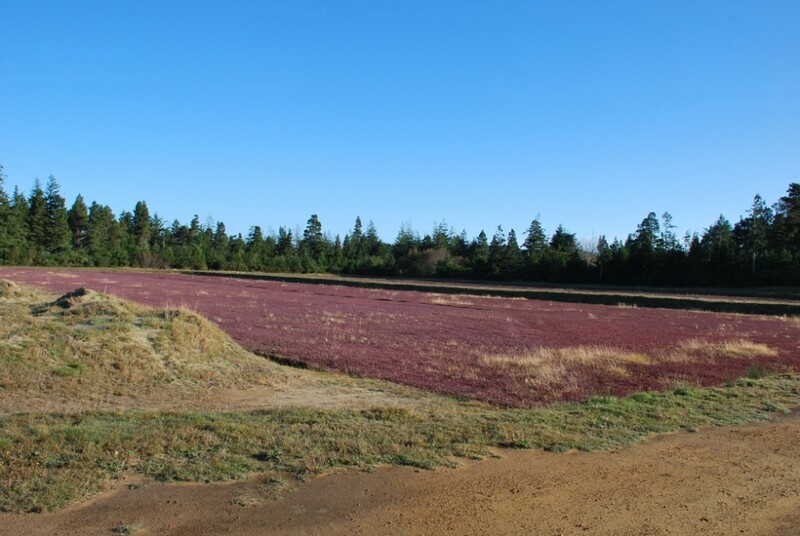 Eagle Organic Cranberries resides on 76 pristine acres on Oregon’s southern coast. The Bandon property has been in the Ridle family since before 1930. In 1995, third-generation owner Scott Ridle began using this never-before-farmed land to grow cranberries organically, believing that organic is the only responsible way to care for and love the land that has been in our family for generations. Eagle Organic Cranberries became Oregon Tilth Certified Organic in 1999. We have 4 bogs (5 acres) of cranberries and use a fresh bubbling natural spring that originates on the property to irrigate. We flood for pest control and when it’s time to harvest our vine-ripened berries are dry-harvested, keeping them intact and fresh longer. Each berry is then lovingly hand-sorted on our home-made machinery. What comes into your home is a delicious berry grown on a small family farm that values quality and sustainability in the organic cranberries we produce.